"Vibe" is not the sort of word I'd often use but The Hearth in Lewes oozes great ones. Maybe it's the well worn environment of a cozy former bus station or because everyone is essentially dining around fire (their own-built wood oven) and the warmth is both literal and symbolic. I don't know, but I love it, especially that smoky smell of the place. 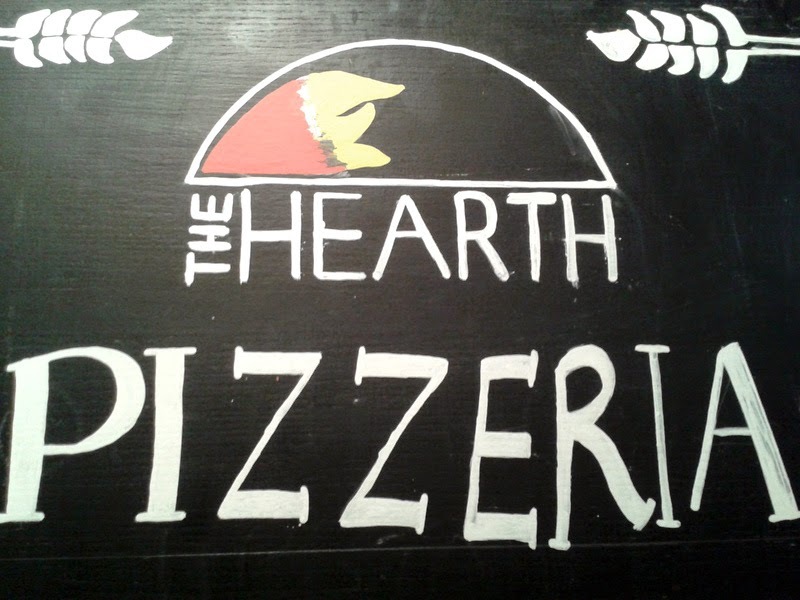 And you may very well know my feelings about the pizza at The Hearth, I don't think there is anyone producing pizza like it in Brighton area and it's worth the schlep out to Lewes to get a decent one there. But they also do special events and workshops that often go beyond the breads they are well known for. Clearly, a pizza oven is not just for cooking pizza! The dinner I attended this week followed a day of workshops with renound baker Dan Lepard, who some may know from Australian Bake Off or his impressive CV, baking for acclaimed restaurants. Sadly I had to work so missed out but managed to hot foot it up in the evening. We started things with something I haven't had in a long time. The retro Italian classic Bagna Cauda. Meaning "hot bath", it is essentially a thick, warm dip of oil, anchovies, garlic, lemon and butter. 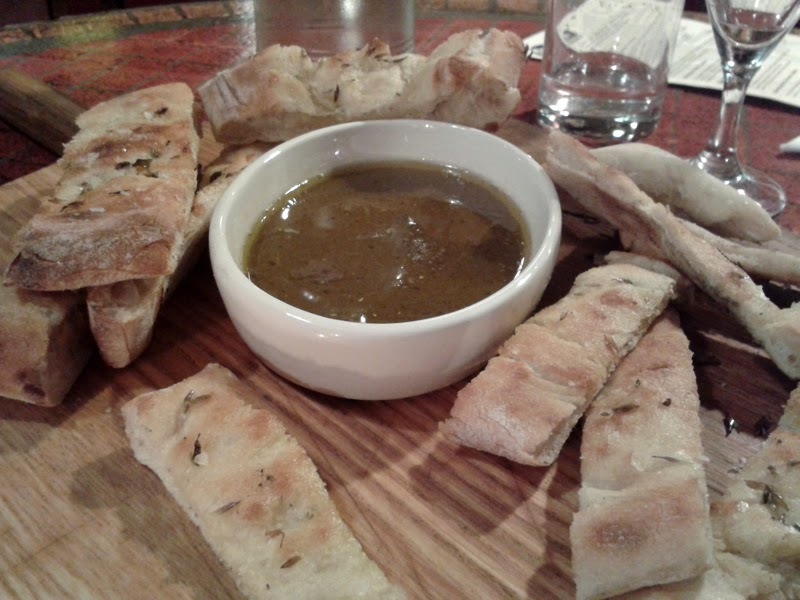 As I dipped the warm pieces of freshly baked Schiacciata bread (like a flat focaccia) and, what is more commonly served with bagna cauda, crudites, it was a real taste of Italy. I can't believe I haven't made this dish, it's far more interesting than most dips with that intense savoury taste of anchovies, sofened by butter and oil. Try it if you can. 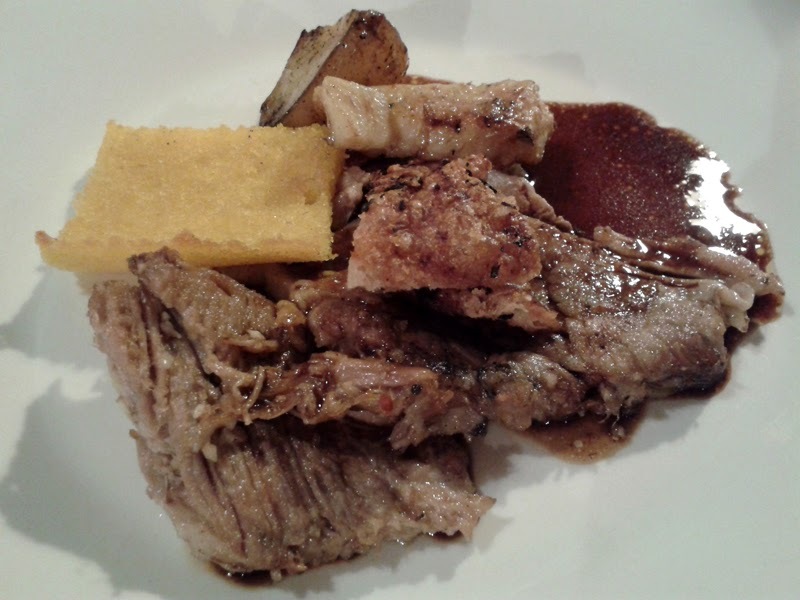 The main course, was one of the best pork dishes I've had and as for the crackling! 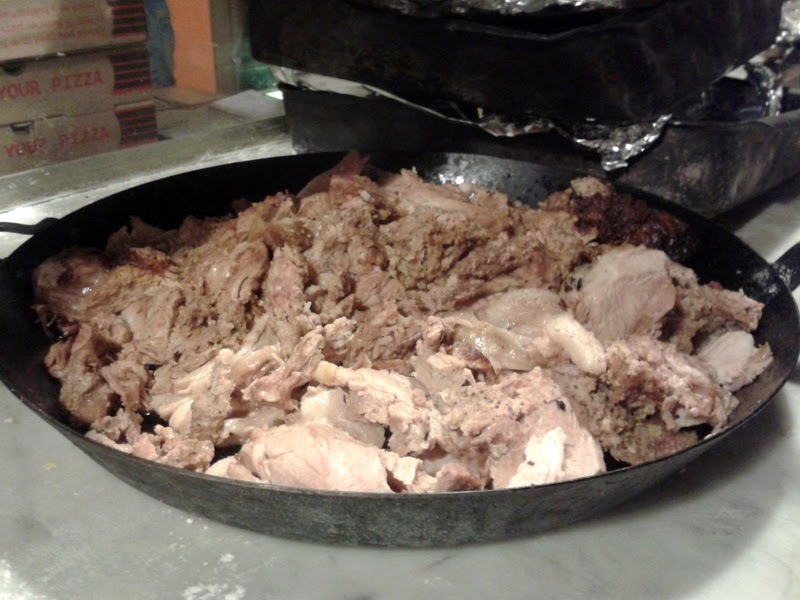 The taste of meat that has been slow-cooked in a wood-fired oven is unlike anything you can recreate at home. Smoke and flame help add such a deep flavour to it. The Hearth should really consider doing a Sunday roast in if this was anything to go by. Simply served with intense gravy and roast vegetables in stock, they were all that was needed as side-kicks to that meat. 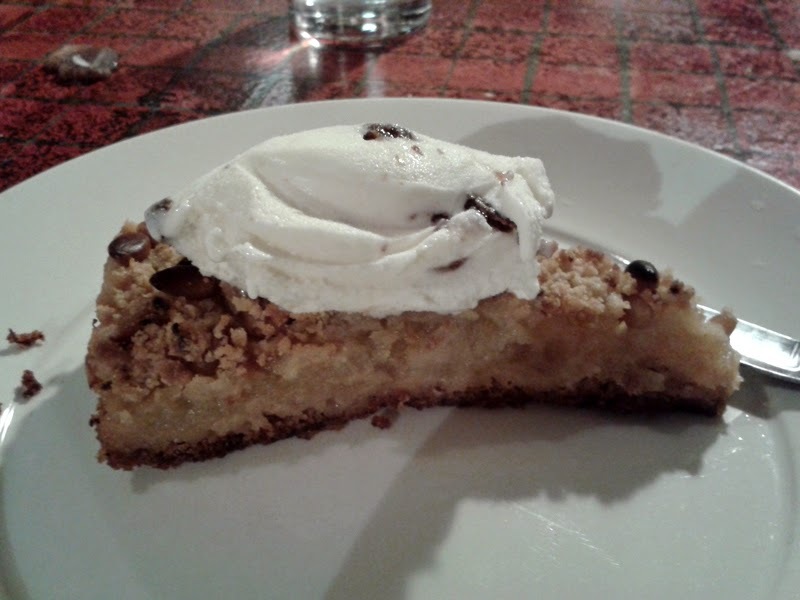 Dan made a typical Italian style apple cake to finish with and I also got my first taste of The Hearth's gelato, peppered with raisins soaked in Amaretto. They'll be serving that in the restaurant as well as out the front in their kiosk. It was a perfect end to a perfect meal and I was very happy to have experienced the evening. Everyone had a great time. The atmosphere is always welcoming and informal at The Hearth and the passion from the people behind it is immeasurable. I met Kate from Great British Bake off and some other lovely local food people too. 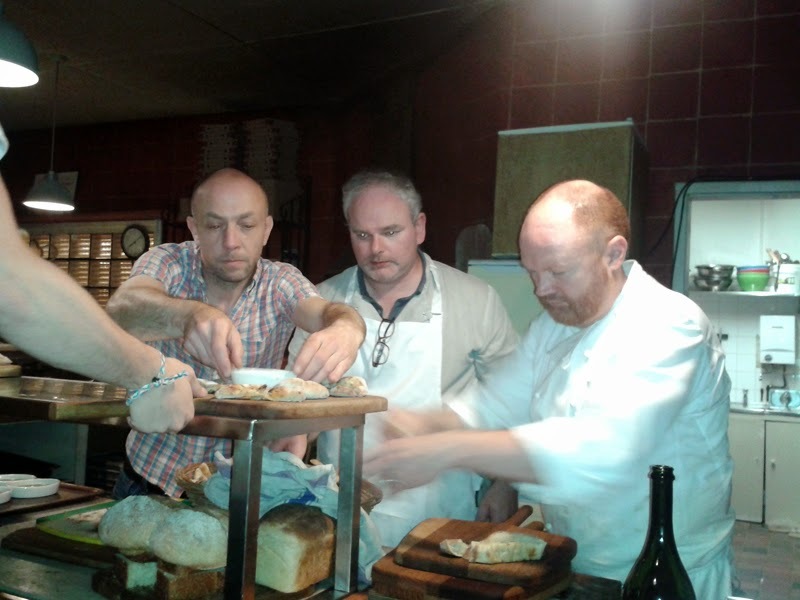 Even food writer Andy Lynes was spotted wielding the peel by in the kitchen! Try and catch one of their upcoming events at http://www.thehearth.co/events-and-news, there is even talk that Kate may even be co-hosting an event there soon. And if you haven't gone for one of their pizzas yet, then please, please go soon. It would make this little Italian lady very happy if you do.